Recorded in January 2018 at the King Center in Denver and released in December 2018, Corelli's Circle features music of violinist-composer Arcangelo Corelli and composers from his circle in London: George Frideric Handel, Francesco Geminiani, John Stanley, and Charles Avison. 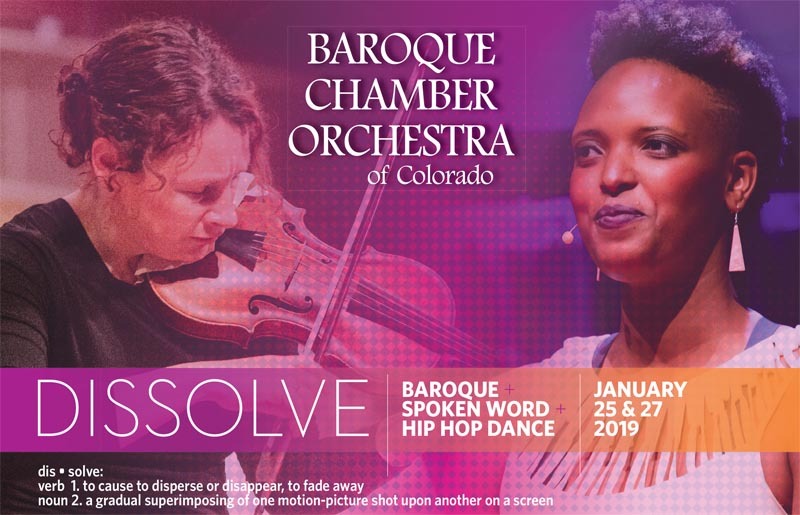 The Baroque Chamber Orchestra of Colorado’s second CD, Forte e Dolce, incorporates music from over 75 years in various 17-century Italian traditions, including four works for trumpet and strings, a concerto grosso in the “Christmas concerto” genre, plus chamber and solo pieces. The Baroque Chamber Orchestra of Colorado’s first CD, Cornucopia features the Baroque Chamber Orchestra of Colorado performing a variety of music from the 17th and 18th centuries, with selections by Handel, Telemann, Leclair, Muffat, and Avison. Note: This CD is now sold out! We are in the process of making it available for digital download as an album. Please check back soon for more information. A recording of Bertali’s Chiacona, performed by violinist Cynthia Miller Freivogel and guitarist Daniel Zuluaga, is available to buy and download from iTunes and Amazon. CDs are available for purchase at all BCOC concerts or from our on-line store.